Christmas is coming and I'm sure you'll love to get your hair in tip top shape without breaking the bank. Before the advent of natural hair products, there has been wonderful products in stores that helped keep my hair healthy and easy to manage....without my breaking a sweat about what to do when my stash and my pocket run out! Here are my personal favourite natural hair friendly products that are readily available in markets and stores near you...and best part they can be used by both naturalistas and relaxed sisters. These conditioners are perfect for cowashing your natural tresses without annoying buildup and at N500 a pop, what more can a budget naturalista ask for?! My personal favourite is the Strawberry and Cream variant...yummy icecreamy scent gets my washday going! 2. Organics Root Stimulator Replenishing Conditioner. This conditioner is useful as both a detangler and a one step mild protein and moisturizing deep conditioner. To boost your D.C. with this baby, you can mix in your favorite oils and butters . At N1200 max, you got yourself a good deal. 3. Organics Root Stimulator Creamy Aloe Shampoo. While this baby isn't sulfate free, it's moisturising enough to clarify your hair and scalp without dryness. In addition, while I don't recommend detangling your hair at the shampoo stage, this shampoo has enough slip to prevent any tangles from forming while you poo. A curl definer and moisturiser all in one...at about N800, you might not need Ecostyler gel afterall. Tall order right? Nope...with moisture loving glycerine, this gives your situation that cool drink it needs. Another hair loving gel which in my experience can hold its own with other higher priced natural hair gels. Gives fairly good hold without the crunch and at about N1800 for 24oz which can double as a skin moisturiser, you get more bang for your naira. 6. Organics Hair Mayonnaise by Africa's best. This deep conditioner keeps your situation moisturised and full of boings. It can also be used as a light leave in too. At N850 and being easily accessible, you don't have to worry your pretty fro about anything. Highly recommended for naturalistas who don't mind a little mineral oil. This is a light protein and moisturising deep conditioner that works quite well with most natural hair types. 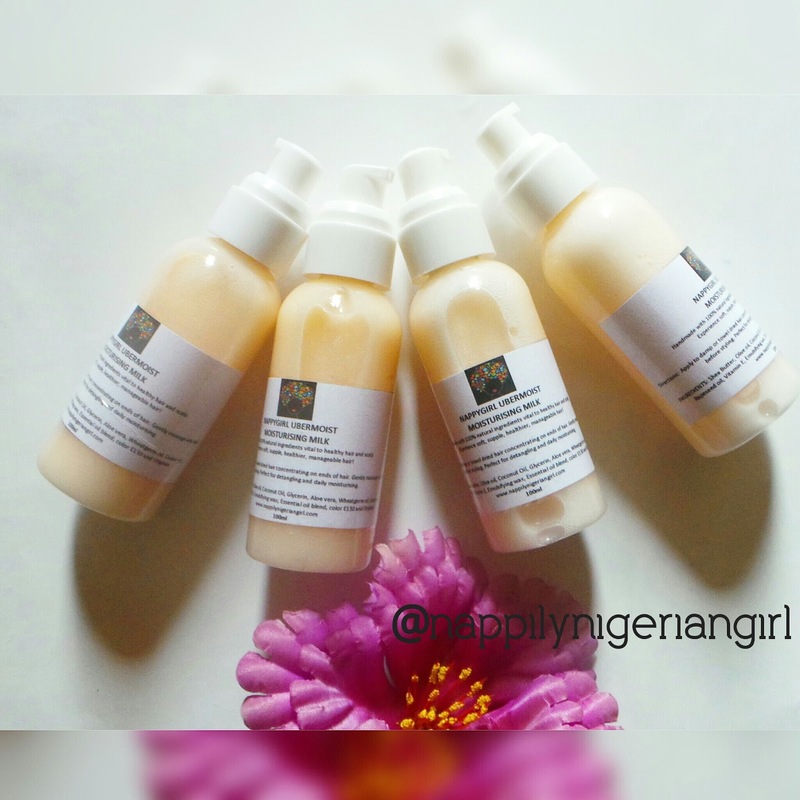 It's petrolatum and mineral oil free and also easy on your pocket for between N800 and N1300. 8. African Black Soap or Ose Dudu. This is the Castille soap of Africa if I may say so myself and it's the perfect base for making your own moisturising sulfate free poo. Load it up with yummy ingredients like avocado butter, coconut oil, hair growth stimulating essential oils and humecants like honey and you have your own deep conditioning shampoo. You can get it for as low as N100 and mix and match to your hair's desire! I can't vouch for it's growth stimulating power but if it helps with length retention by stopping dryness...then yes, this baby works! Perfect as a substitute for natural hair moisturising butters this N1500 petrolatum free baby protects your baby hairs (even the adult ones) from breakage due to dryness. Grow baby, grow. This brand is synonymous with relaxed hair care but can still be used for natural hair care. This light milky formula has enough slip to make detangling less time consuming, I love the ultralight fragrance and really live for that tingle. It's petrolatum free and paraben free. At N700 for 8oz it's surely a good deal. In the quest for the perfect curl and perfect sets, this mousse makes it to the top of my list anyday. It provides humidity proof roller sets, bantu knot outs, twistouts and even blow outs without flaking. At about N1200, it's a wrap! 12. Emily Millionaire Coconut and Herbs Cream. Not interested in mixing up your deep conditioner, why not give this N300 moisture punch a try. Thick enough to make you feel it's a hair mask, oily enough to get the benefits of an oil treatment and on rinsing, notice softer hair. This wonder delivers all the time for me! This shampoo though not sulfate free, clarifies the hair without stripping it. I used it (the one with grape fragrance) without problems on my fine natural hair back in the day and my curls always popped and never matted. It costs N700 and can easily be found in the baby care section. This leave in conditioner should not be overlooked when you get into the store or you'll miss the detangling, softening, strengthening power of this conditioner. It's perfect as the liquid part of your LOC treatment and makes a wonderful curl refresher. I usually swap the snap cover for a spray head so I can spray spray and go. Available in stores for just N800 for 16oz. The absence of argan oil in your stash doesn't mean you can't have healthy hair...it just means you don't live in Morocco. As a Nigerian living in Nigeria, there are wonderful oils and butters that will make your do pop, boing and bling! Palm Kernel Oil for strength, shine and length; Soy Bean Oil for strength and elasticity; Coconut Oil for strength, shine and length ; Palm Oil for the ultimate moisture boost and as the uber religious people that we are, olive oil though foreign to us is in abundance! So peeps, look into stores near you and share with us the wonderful, affordable, easily assessible gems you've discovered! I never new the organic hair mayonnaise could be used as a leave in conditioner! I'm going to try it. Im so in love with the ors replenishing pak. And the Emily Millionaire seems to be a firm favourite, iv been seeing it all over nigerian blogs. Very nice list you have compiled here! Thanks so much, B. I'm grateful for the nomination! :) Emily Millionaire is quite good. This is such a great post!! Palm oil is very nice to prepoo with!!! Thanks Doc. Yes palm oil loves hair. Thanks AB. Would love to read what you think about it. Nice post. I have a few of the items. I have written the ones I am definitely going to get soon. I use emily millionaire's coconut oil cream to prepoo and it is amazing. I love this post as it give info we need on pocket friendly and readily available products. This is really helpful because a lot of the products mentioned are readily available. Walked through the market looking for some other products, I didn't even find one. I saw all these ones you mentioned but ignored them. Jack 5 Curl Activator this is the best hair product ever. It turns my desert - dry straw into curly hair. Instantly. I've been using it for years and intend to continue.